The North Alabama SOLIDWORKS Users Group (NASWUG) is proud to announce our April 2017 NASWUG meeting. The meeting will be held Tuesday, May 2, 2017 from 11:00am to 1:00pm, at Redstone Lanes. Please join us as Sam Skinner, Application Engineer with TriMech, will give us a demonstration of SOLIDWORKS DimXpert and TolAnalyst..
Click HERE to sign up. You will need to have your own access to the Arsenal to be able to attend. You do not have to print tickets, a sign-in sheet will be available at the venue. The North Alabama SolidWorks Users Group (NASWUG) is proud to announce our April 2009 meeting! The meeting will be held on Tuesday April 14, 2009 from 5:00pm to 7:30pm at the Dynetics Corporate Headquarters Building. Come join us for a two GREAT presentations that you DON’T want to miss! 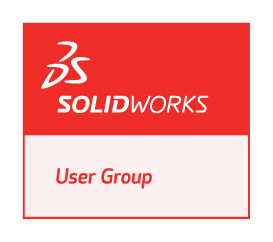 Brian McElyea will be on hand to give a presentation on SolidWorks Workgroup PDM. If you haven’t yet experienced the advantages of using PDM software, this is a must see. There will also be a Q&A session for current PDM users who may have questions. NASWUG-RSA President Gary Hall will also be on hand to give a presentation on the advantages of using the DimXpert functionality inside of SolidWorks. This is one of the most underutilized features in SolidWorks. Gary gave this presentation earlier this year at the NASWUG-RSA meeting and it was an instant hit! Gary has updated the presentation to include enhancements to this functionality in SolidWorks 2009.